Most of us feel comfortable in our homes, in our neighborhoods, and in our little corner of the world. We know our next door neighbors and community members, and we see what everyone is doing on social media. It is easy, therefore, to get complacent when it comes to security. All too often, our sense of comfort makes us forget to lock the door when we are just running out for a minute or advertise that we are headed off on a fun vacation for a week on Instagram or, worse yet, tell our friends where we keep the hide-a-key! 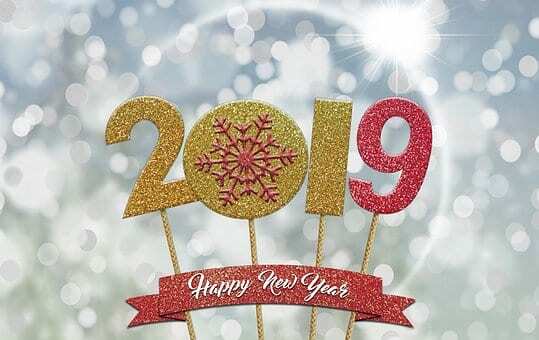 As we head into 2019, we would like to recommend a list of security resolutions that will keep you, your family, and your home safe during the next year. Happy Safe New Year! Upgrade door locks to keypads or smart home controlled locks that can be monitored 24/7. Install a home monitoring system that can alert homeowners and the authorities of intrusions, fire, smoke, and a spike in CO (carbon monoxide) levels. Stop posting on social media your every move. The fewer people on the internet who know about your sensitive information, the less chance you have of being targeted. Make a plan in case the unthinkable happens and there is a break-in, a fire, or other incident. Stop mail and other deliveries if you are planning on being out of town for an extended period of time. Nothing is a bigger red flag to a burglar than a pile of mail or untouched deliveries on the front steps. Arrange for automatic lights to come on at staggered times of the evening both indoors and outdoors. Install motion sensor lights in your driveway, along your walkway, and around each door to enter/exit your home. Take care to trim back bushes and trees from in front of windows that could become an easy entry point for burglars. Get in the habit of locking your doors, shutting windows, and turning on a light when you leave your home. Have a home risk assessment completed on your property that can tell you where your home is lacking in security. Sometimes, another set of eyes can make a huge difference in how you view the security of your home and property. Do you have questions about how to incorporate these tips into your security resolutions for the new year? Contact Instant Alarm by phone at 800-499-9070, or visit our website at https://instantalarm.com/. From all of us at Instant Alarm, we wish you and your loved ones a happy and safe new year!